Barbara Kingsolver’s Flight Behavior, reviewed. On Barbara Kingsolver and the problems of socially responsible novels. As always, David Chase’s laser wit cuts in several different directions. That moment is not a manifesto about literature; it’s a comment on a teenager’s pretensions, a mother’s grasping. But his choice of Kingsolver is right on. 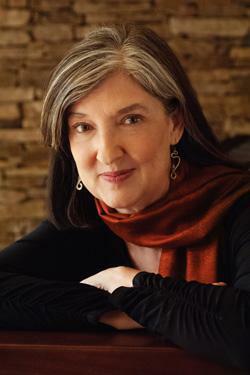 In addition to being a giant best-seller, Kingsolver is the winner of a National Book Award, the Orange Prize, and the National Humanities Medal, and is a regular on the lists of other prizes and honors. But she is not, typically, viewed as playing on the same field as many of the English-speaking-world’s greatest authors. This is not simply a matter of gender; Kingsolver is rarely even mentioned alongside Zadie Smith, or Alice Munro, or even her likeliest boon companion among today’s “serious” female novelists, Ann Patchett. We could quarrel over whether or not this is a side effect of her acceptance of the scarlet O. But surely we all agree that somewhere, somehow, it’s been decided that Kingsolver belongs to the province of Escape, not Importance. On this one point, we are all Meadow Soprano. Ideally, I’d like to hit this point of an essay able to tell you that the dismissal of Kingsolver is wrong, wrong, wrong, and that her new book proves it, that it is a new masterpiece of moral fiction for the modern age. The new book isn’t. But Flight Behavior’s failings, and its small successes, are just as connected to this question of writing fiction that matters as any book of Munro’s or Roth’s. Admitting it to the conversation is the key courtesy it demands. Petty things first: Flight Behavior is the story of a woman named Dellarobia Turnbow. If you’re stumbling over that name, I’ll say that I join you, and also advise you to steel yourself. Other characters in this book have names like Ovid Byron, and there’s a father-and-son set referred to as Bear and Cub, and children have rich-Brooklyn names like Preston and Cordelia. I know nothing of the naming conventions of Southern Appalachia, where the Turnbows make their home, but I do know that these names come across as a distraction in this text. If they are indeed gestures at authenticity, they fail. It’s not a matter of subjective aesthetic, either. The cutesy names contrast quite starkly with the kind of book Kingsolver wants Flight Behavior to be. She is not writing a chipper, feel-good story about a plucky young woman who saves the world. Her aspirations are subtler than, say, Kathryn Stockett’s. In the opening chapter, she gives Dellarobia a quasi-religious vision, predicated on the arrival of a flock of monarch butterflies in the region. The beauty of that sight belies the sinister fact that the “King Billies,” as one local calls them, are there because climate change has messed with their instincts to migrate south. The miracle is actually a harbinger, and not of another miracle. So already at the end of the first chapter, we’ve hit a speed bump. There’s no saving those butterflies, we know, from the get-go. The problem with writing a novel about climate change—and Kingsolver is not the first to attempt it—is that the issue is fundamentally abstract. There is very little one person can do to stop the icebergs from melting. That is not to pronounce against everyone doing their part; it’s simply to say that as a dramatic engine, climate change doesn’t have much of heart. It’s all indifferent gears in there. That leaves Kingsolver with a curious deficit of suspense, and even plot. So she stuffs 400 pages with information about monarchs and their habits, stringing them between tales of the disintegrating marriage between Dellarobia and Cub, and her growing affection for Byron, the scientist who’s come to investigate the phenomenon. There are also interstitial comments on the class biases, and pure economics, that are preventing Dellarobia’s extended family from seeing the crisis before them, and acting accordingly. What results is unwieldy and, at times, dense. There are, of course, people who enjoy fiction that largely serves to deliver information. The legions of fans of historical fiction, and even to some degree science fiction, attest to that. But the need to devolve so frequently into exposition and description of inert landscapes jars the reader out of a moment. No amount of stylized prose can cover that, though Kingsolver gamely tries. In some cases, she tries a little too hard: “The fir forest when she reached it had its own air as always, dark and still. 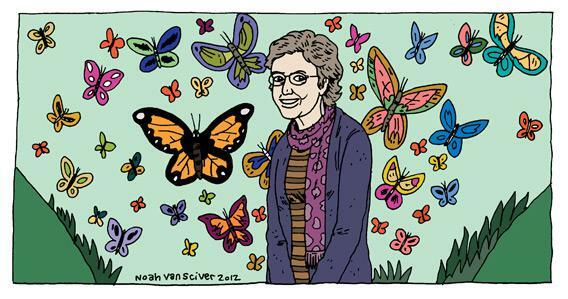 Within its snow-flocked boughs she began to pick out snow-laced colonnades of butterflies, first a few, then more, as her eyes adjusted to their wintry aspect.” The more Kingsolver trills and fusses in the prose, the more the whole thing starts to sink like a stone. Some kind of weight is what she’s going for, of course. Kingsolver is the founder of the PEN/Bellwether prize for “socially engaged fiction.” The mere existence of such an award implies Kingsolver’s agreement with a school of thought that argues for less navel-gazing in fiction, for art that actually wants to transform something more than the reader’s self-conception. “Well, yeah,” Juliet said, “that’s kind of the point, that outsiders won’t get it.” She looked at Dellarobia, moving her head slightly from side to side in some secret girl signal, as if they were in league. Dellarobia felt herself resisting the invitation. Juliet went to yard sales for entertainment. She’d seen the coral reefs. Which according to Ovid were bleaching out and dying fast, all over the world. Preston would never get to see one. Dellarobia felt like taking a tire iron to something, ideally not now, ideally not herself. She got up to clear the plates. In that paragraph so many things are going on. There’s the way class can curb not just your aspirations, but your geography, in a literal and even irrevocable way. There’s a lover’s jealousy of a rival. There’s a failed appeal to the sisterhood. And finally, a resignation that there’s nothing to be done but clear the table. Every time I came across a moment like this, in this book, I kept hoping that Kingsolver would stay with it, but we were soon back out in the woods again, trudging through snow-covered everything. I wanted her to go back indoors. Put that desire back in the context of debates over so-called “women’s fiction,” and I sound like a hypocrite, I know. But my point isn’t that the Kingsolvers of the universe “belong in the kitchen”; it’s that they have a remarkable ability to open small, emotional, personal issues up to other levels of the world. We can all agree that such a maneuver requires techniques more subtle than stapling three pages of explanation and heavy-handed allegory into a manuscript, but it does not make it either impossible, nor something only the Greats are capable of. Kingsolver, after all, shares her problem with no less than Jonathan Franzen, the “Great American Novelist” himself. Freedom suffered from the author’s tendency to tighten his collar and sermonize about cerulean warblers and the ills of the Internet. (In fact those passages tended to be counterproductive, in that they revealed Franzen’s ignorance on the latter score, with references to “hot-linking,” etc.) The best work in Freedom was in the long “autobiography” of Patty Berglund, where Franzen dropped the teacher act and went for the gullet. It suggested that the novelist saw himself oscillating between two poles, the personal and the social, rather than finding a way to connect them. For its faults, The Poisonwood Bible showed that Kingsolver had less of a binary conception of world and book. Far better than in Flight Behavior, she wove rather than yoked her themes together. Sure, characters launched into disquisitions on the history of the Congo at the drop of a hat. But the dramatics were put to better service, perhaps because they were autobiographical; she has said that the novel, about a family of unprepared missionaries, was inspired by her own childhood experiences as an expatriate in Africa. But the ravages of colonialism are more carefully threaded into the Prices’ lives than climate change is into Dellarobia’s. No less than Sherman Alexie has labeled Kingsolver’s work “colonial literature,” not least because she has written at length about Native Americans. He apparently made that pronouncement without reading her books, but in any event I think he is not wrong. He was merely pointing out that the act of writing, of telling a story, is in itself political, a stance with which Kingsolver obviously agrees. The critic Lee Siegel once railed against her, in the New Republic, accusing her of “Nice Writing,” of always advancing inarguable politics by concentrating on the sufferings of the marginalized. Though Flight Behavior might not convince him otherwise, it does show that Kingsolver, like her Dellarobia, understands that it’s more complicated than “sufferings” of the “marginalized.” There is sharpness there too, if you bother to look. By the end of the novel, the redemption, however cheaply bought, only comes by halves. Correction, Nov. 3, 2012: This article originally misspelled the first name of Flight Behavior’s protagonist. Flight Behavior by Barbara Kingsolver. Harper.